It happens quite so often that you move a file to Recycle Bin and empty it without a second thought. Then you realize that the file was deleted by mistake, which is too late as Recycle Bin has been emptied. Even so, there is no need to be worried, for chances are that deleted files can be recovered by some data recovery programs. Keep reading and learn how to recover deleted files from empty Recycle Bin. Stop any action to the hard drive. The chance of getting back deleted files will be very thin of you keep trying to recovering files with improper programs or operations. Any action such as view file, browse web pages, add data to hard drive, etc. may do damage to lost files. Therefore, do not save or install any unnecessary programs on your hard drive in order to maximize the chances that deleted files can be recovered successfully. Try data recovery software. There are plenty of data recovery programs available on the Internet, some are paid programs and some are for free. You need to choose the appropriate software for recovering your data. 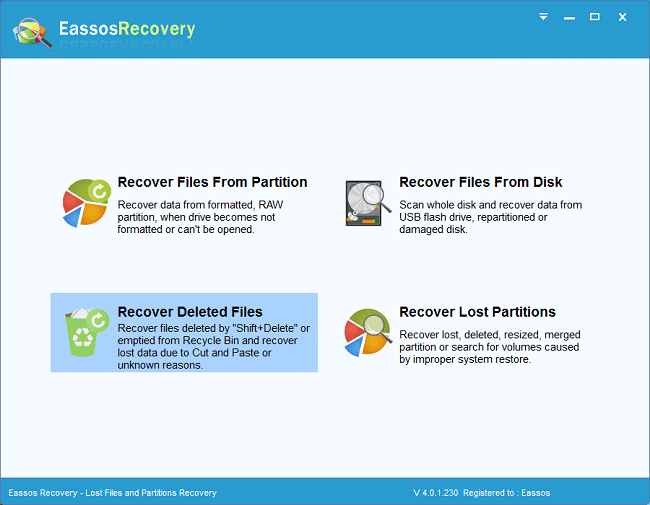 Sometimes, data recovery freeware such as Eassos Recovery Free, PartitionGuru Free is powerful and workable, so it is advised to try freeware first. Never install program to the partition that needs recovering files. Do not download or install the program to the hard drive or partition where you want to recover files. Use the portable version of data recovery program as much as possible. Note that not all programs have portable versions. How to recover deleted files from hard drive using freeware? 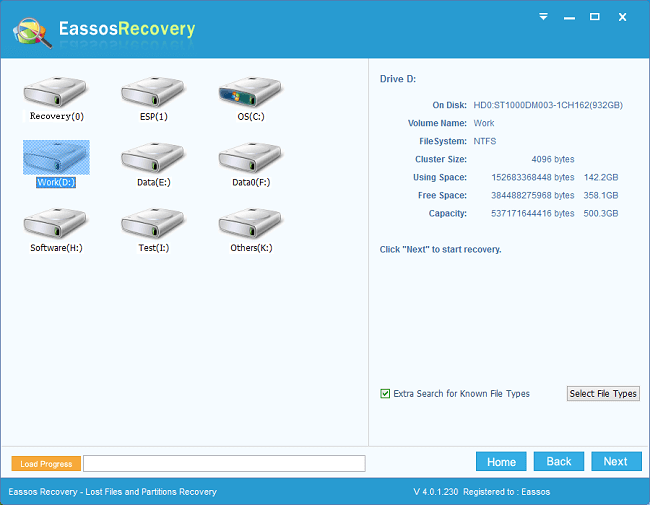 Download and install Eassos Recovery Free to your computer and connect the hard drive where lost files have been stored, then you can follow steps below to recover deleted files from hard drive quickly. Step 1: Start the recovery software and click “Recover Deleted Files” button. Step 2: Select the partition that needs recovering deleted file and click “Next” button to start scanning. Step 3: Select files you need and click “Recover” button so as to save files to a secure location. 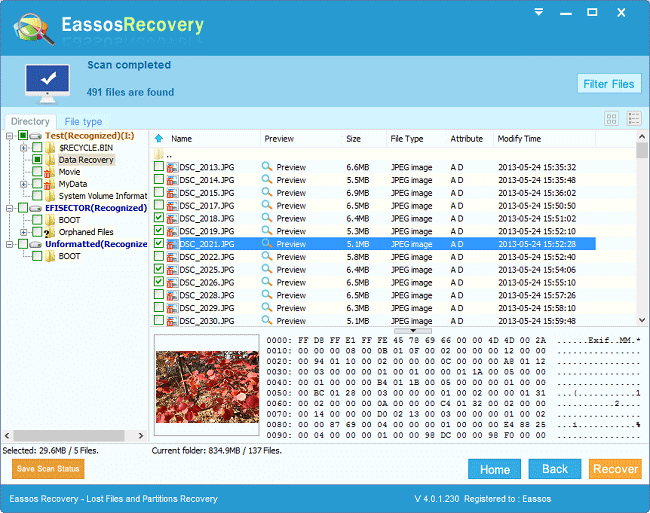 This entry was posted in Data Recovery and tagged data recovery freeware, Eassos Recovery Free, recover deleted files free, recover deleted files from hard drive by EASSOS. Bookmark the permalink.